Two unique brands, one store. Del Sol specializes in clothing and accessories that change colors. 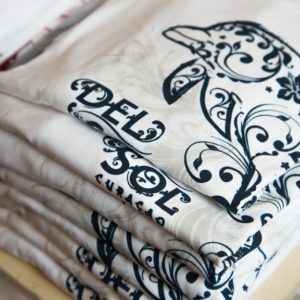 The hidden colors found in Del Sol’s exclusive prints unfold into vibrant colors upon exposure to sunlight and return to their original colors without sunlight. Cariloha specializes in clothing, bedding and bath goods made from eco-friendly bamboo. The soft, silky feel of Cariloha’s bamboo fabrics appeals to those who seek the very best in natural luxury.